In David Yoo’s “Becoming Henry Lee,” Henry—nicknamed Ching Chong by classmates—decides to confront stereotypes head on by pretending to be, among other things, a tai chi and kung fu master. In Cherry Cheva’s “Talent Show,” a Jewish boy and an Asian girl bounce stereotypes about their “groups” off each other. G. Neri’s poem “Under Berlin” expands the book’s settings by placing an African-American family in Berlin, where the father humorously shows his children that prejudice isn’t unique to America with the help of a subway game. The tone in Francisco X. Stork’s “Brotherly Love” is a bit more serious, as he explores stereotypes within a single culture when an older sister helps a young Latino teen come to terms with his own homosexuality. 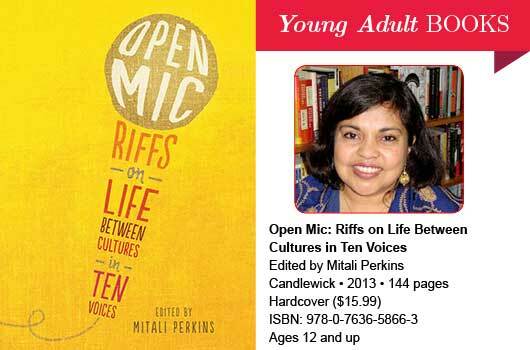 The works collected are both entertaining and informative, helping young readers to see more deeply into their own cultures, as they learn to look outward as well.